Every review that a customer posts in social media and review sites is a form of free advertising for your company that can make or break your business. The post exposes your name and your products to readers which raises the awareness of you and the business you operate. 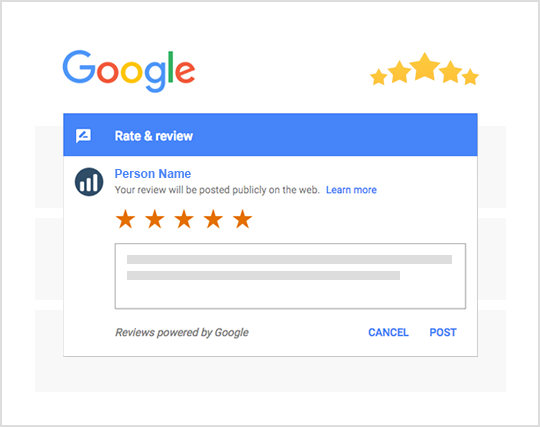 Reviews posted online from customers affect the search engine results that you get. Google always assesses the number of times that your business is mentioned. If your company is mentioned often enough online, it will get a better ranking than another business that is not mentioned as often. Research has shown that consumers trust any peer recommendations that they read than they do advertisements. They rarely trust advertising. Consumers often rely on recommendations from people that they actually know but they also find online recommendations to be believable. In 2015 a Nielsen survey was done with 30,000 internet users spread across 58 countries. The survey revealed that over 80 percent of respondents believed recommendations from people that they knew. Another 70 percent also believed the opinions of other consumers that were posted online. Online peer recommendations are crucial forms of marketing for your business. Some reviews bring up criticisms about your business. These are great opportunities to sort out a customer's problem and show others just how good your online reputation is becoming. It is not a bad thing for a customer to have an issue with a product as long as you publicly work to solve it with them. It is far better for them to complain online where you can work to resolve things in front of others than for them to complain to friends or others in private. Online reviews are also good sources of ways to improve on things. Your customers can give you free business ideas. As with other types of social media, online review websites offer you a chance to build a closer relationship with consumers. You will get a range of reviews from many different customers. These come from some people who would not otherwise give you their opinions about your company. You can respond to either positive or negative feedback. This demonstrates what a sincere interest you have in your customers. With the responses you offer, customers get to know you as a person and not just as a business. Some sites make owners of businesses put photos of themselves on their profile before they can respond to reviews. Many customers love knowing the person who makes the products they use. The internet offers them ways to get closer to you and build a relationship. That's why we created Word of Mouth BOT (Wombot) so that you can take control of your online reputation. Word of Mouth BOT has an Active Reputation Marketing System (ARMS) that will automatically route each new review based on real time reputation information to the review website where it will be most effective online and internalizes the negative reviews as customer feedback that only you can see. Never worry about unhappy customers taking out their frustrations online. With Word of Mouth BOT, negative reviews will be internalized. You will be alerted in real time to important changes instantly allowing you to respond at the speed of business from within the alerts.